It has long been hypothesized that personality is associated with breast cancer risk and survival. The present population-based prospective cohort study in Japan tested this hypothesis. To investigate the association of personality with breast cancer risk, a total of 15,107 women aged 40–64 years who completed the Eysenck Personality Questionnaire-Revised (EPQ-R) Short Form were followed from 1990 to 2007. 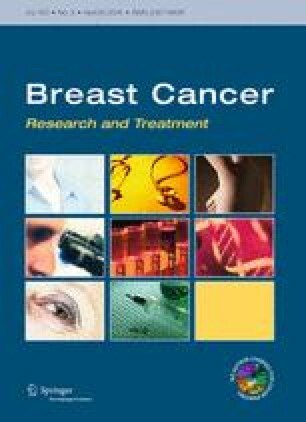 To assess the association of personality with survival after breast cancer, 250 identified cases were further followed up from the date of diagnosis to 2008, and 45 all-cause deaths were documented. Study subjects were categorized into four groups based on the quartile points of scores ranging between 0 and 12 on each EPQ-R subscale (extraversion, neuroticism, psychoticism, and lie), and the hazard ratio (HR) for each category was computed using the lowest category as reference. Multivariate analysis revealed no association between any of the four personality subscales and the risk of breast cancer. In the analysis on survival, no significant association was found between any of these subscales and the risk of death, although breast cancer cases with a higher score of extraversion tended to have a lower risk of death (P for trend = 0.07; HR for highest score level = 0.38). Exclusion of 32 cases diagnosed in the first 3 years of follow-up did not largely change the results with regard to either breast cancer risk or survival. The present findings suggest that personality does not impact significantly on the development and progression of breast cancer. This work was supported by Grant-in-Aid from the Japan Society for the Promotion of Science (JSPS) for Scientific Research (B) (23390169).